Note: It may be a bit of a stretch to call The Tree of Life science-fiction, but I think it easily fits under the wider umbrella of speculative fiction, so enjoy! 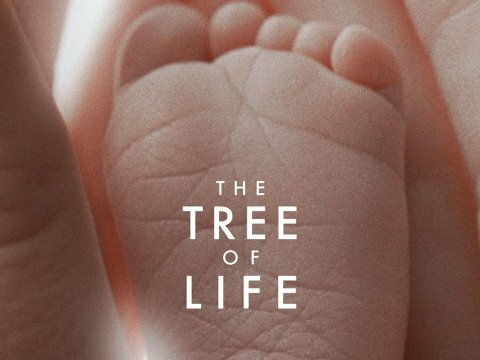 With ponderous pacing and sparse dialogue, Terrence Malick’s The Tree of Life evokes 2001: A Space Odyssey as well as previous entries in Malick’s own polarizing body of work such as The New World. “Tree of Life” is a popular concept pertaining to the interconnectivity of all existing life and is applied across many fields including science, philosophy and religion. Discussion of this topic is an entirely separate can of worms from the film, but it is helpful to mind the title’s background when watching. It would be an understatement to say that The Tree of Life sometimes takes the scenic route in arriving at the crux of its story. This crux is the troubled past of one man (Sean Penn); the premature death of one of his younger brothers and the strained relationship with his strict and embittered father (Brad Pitt). The childhood scenes are set in 1950s Texas, and the adolescent version of Penn’s character is played by newcomer Hunter McCracken. Malick challenges the audience with a series of vignettes that often unravel with little or no dialogue. Oh, and there are also a few confounding sequences featuring the formation of the cosmos and dinosaurs. Yes, dinosaurs. While these could easily have meant an unnecessary and disastrous divergence from storytelling, they actually fit into the “Tree of Life” theme very well, as long as viewers are willing to do the heavy mental lifting required to weave the live action scenes together with the computer-generated imagery. This is a high-concept film that explores existential territories such as the meaning of life and where humans fit into the metaphorical “tree of life.” The difference between grace and human nature is explored through the juxtaposition of the heartbreakingly innocent mother (Jessica Chastain) and middle son (Laramie Eppler) with the more fiery pair of Pitt and McCracken. The complicated structure of The Tree of Life is a brilliant vehicle for this subject matter. Both Pitt and McCracken turn in haunting and memorable performances. In his film debut, McCracken gives a nuanced and feral performance, particularly in his character’s frequent brushes with delinquency. He is actually pretty frightening throughout the film. Pitt simply disappears into his role as the iron-fisted patriarch. I haven’t seen Moneyball yet, but for my money, this is his best performance to date. While Penn’s name may be on the marquee, his role is small and he does not have a substantial amount of screen time or lines. Although he plays the adult version of the central character and gives an effective performance, this is not his movie. The same can be said for Chastain. The family drama in the film is instantly recognizable and relatable and viewers would be justified in wishing there was more of it. However, The Tree of Life is about much more than the just the family and not recognizing that would be to miss the point. This film employs avant-garde, never-idle cinematography. Malick is a legitimate auteur and demonstrates his ability to frame shots and deliver crystal-clear messages with minimal dialogue. When you are watching a Malick film, you know you are watching a Malick film, and this places him in very select company. The Tree of Life is original and spectacularly ambitious. Terrence Malick weaves oil and water together in a way that somehow manages to satisfy despite its ambiguity. This film will be unfairly regarded by some as too pretentious and this judgment is not entirely true or false. 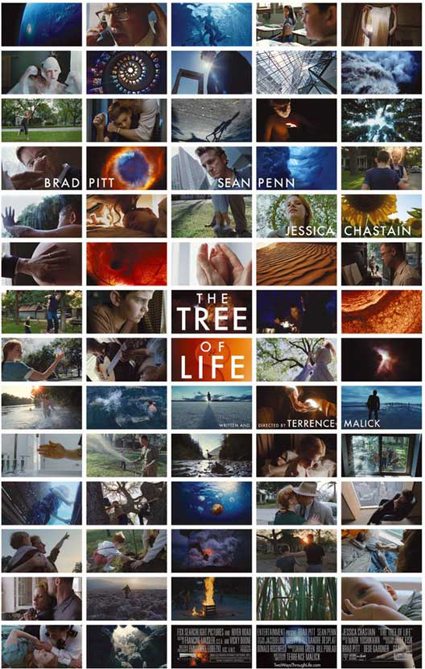 The Tree of Life defies easy description and commands viewers to dig deeper in order to reap its rewards. That alone is enough to set it apart from and make it more relevant than the vast majority of recent films. Heavy-handed as Malick’s methods may be, they really do work well here with the content and do not seem overly indulgent. The Tree of Life is so undeniably well-crafted, strongly-unified and personal that it defies criticism. Unfortunately, there will be no shortage of people taking issue with the deliberate pacing, or the high concept. For those unappreciative of the pacing, they have improper expectations of the film to begin with, and for those who think the premise is pretentious, they are thinking too hard about it. It’s deep, secretive and rewards multiple viewings, but the primary strain is simple and elegant. That said, this may not be the ideal point-of-entry for those unfamiliar with Malick’s portfolio (for that I would suggest something shorter; Days of Heaven, perhaps). On sheer force of Malick’s will, this film not only works, but it is one of the best pictures of 2011. Its’ subject matter and runtime (139 minutes) will turn many away, and its structure and pacing will draw the ire of some, but this is a film that simply must be experienced.